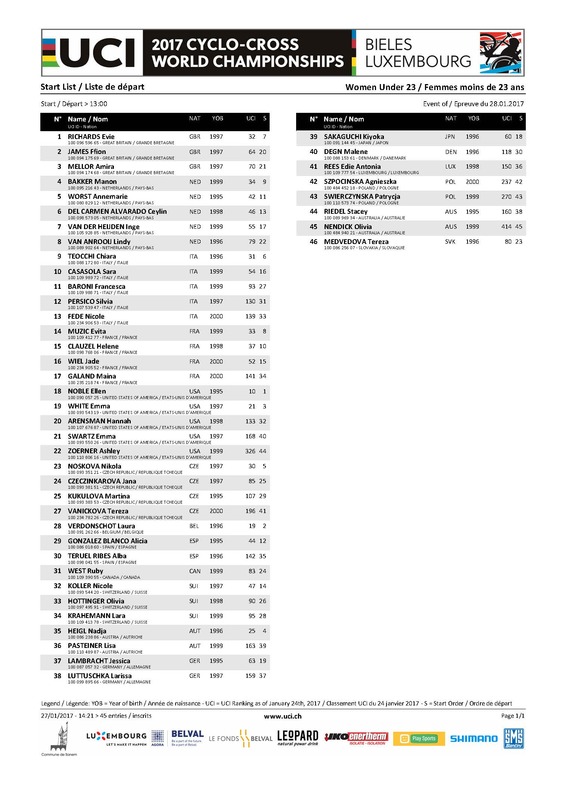 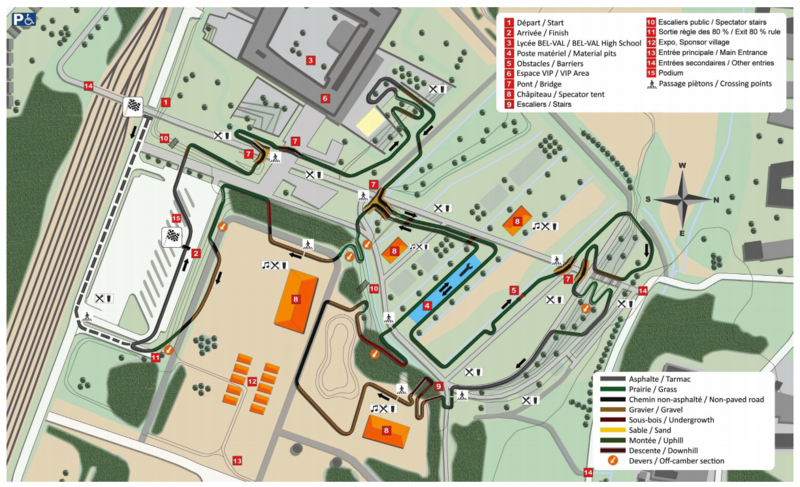 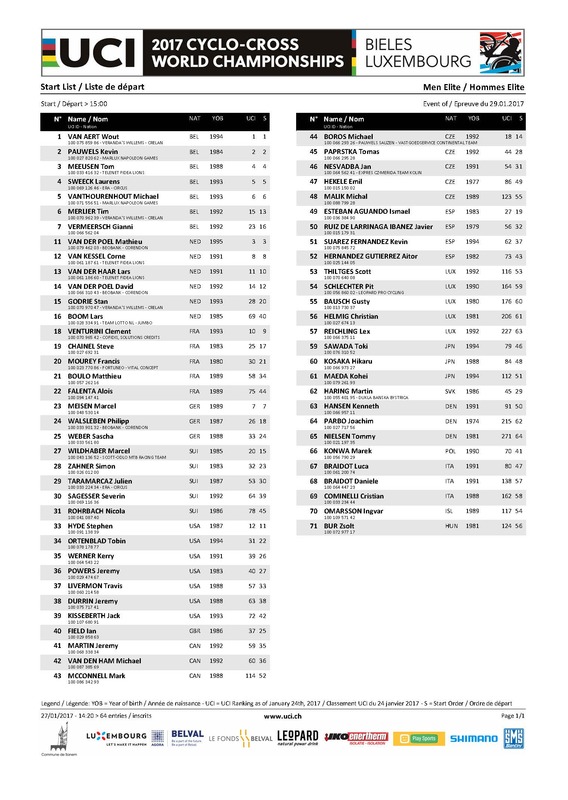 Here are the start lists for this weekend’s World Cyclocross Championship that takes place in Bieles, Luxembourg. 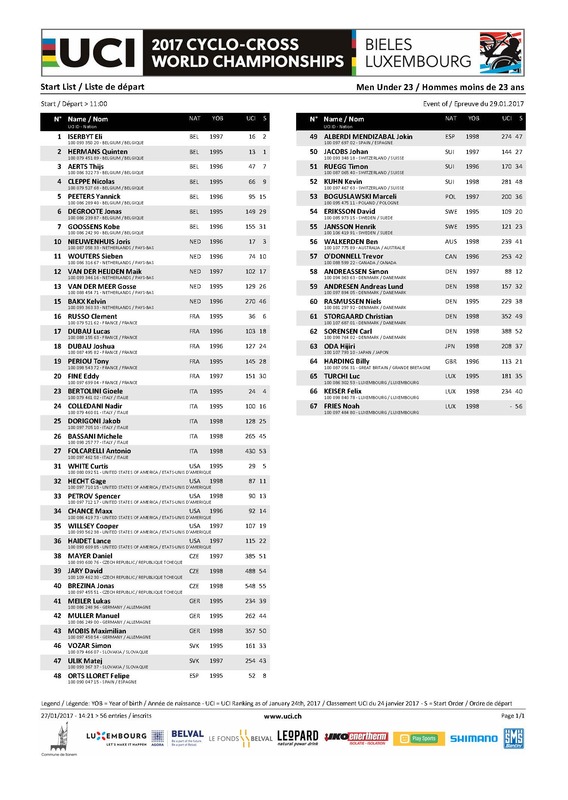 These are great for us cyclocross nerds to have on hand during the race so that we can match bib numbers with names. With everyone wearing national kits it sometimes gets confusing telling riders apart.